Dillner’s FileCenter is fast becoming the scanning and document management software of choice, especially in small offices. Why? Because it is four times easy! Dillner’s FileCenter can be rolled out in no time. Just download the setup file, install it, and get to work. It uses the Windows file system to store files, eliminating complex databases. Dillner’s FileCenter is very intuitive. New users will instantly pick up its Cabinet paradigm and immediately feel comfortable with its user interface. There are also lots of how-to and training videos available for any level of user. Dillner’s FileCenter has many great features like document scanning, file management, and the ability to create and edit PDFs. It also includes OCR, search, folder templates, and more. And they all have one thing in common: easy to use. Dillner's FileCenter is the low-cost leader in documents management. Seeing is believing, so contact us or schedule your free demo today! Make scans, faxes and other documents fully searchable. Or get the text from that paper document into Word. Share cabinets on the office network or float them onto the cloud. And enjoy the robust Windows file security you’re already used to. Want a free live demo of Dillner's FileCenter? The biggest speed bump to the paperless office has always been scanning … until now. Use FileCenter to move paper to fully searchable PDF in just a mouse click. Move documents, letters, receipts, and business cards to your PC as fast as your scanner can pull them through. To speed things up even further, FileCenter can automatically split apart documents and even save them to the right client folder for you. You’ve never had a more reliable filing assistant. All of the tedious tasks, like OCR and indexing to make your scans searchable, happen automatically behind the scenes. Do you need to pull a paper document into Word for editing? Email a paper document? Or maybe just add more pages to an existing scan? Not a problem … any more. Everyone deals with computer files – lots of them. Use FileCenter to manage scans, PC files, and e-mail in a way that makes sense –electronic file cabinets. 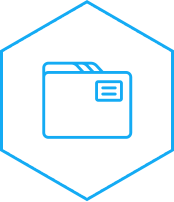 Bring all of your existing files into FileCenter instantly – no messy imports, no conversions. Then enjoy thoughtful shortcuts to speed up the way you work, like suggested file names, reusable folder layouts, and a quick preview feature for most kinds of files. Prefer doing things the Windows way? Not a problem. FileCenter includes an Explorer view and ways to see just “slices” of your file system for quicker access. Sometimes the quickest way to a file is through a search. Through the built-in search interface, you’ll pull up files as fast as you can type. 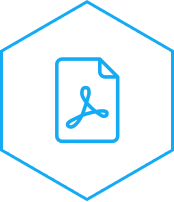 PDF has become the standard for sharing and archiving files. That’s why FileCenter fully embraces PDF and bends over backwards to make PDF easy for any user. You’ll simply drag and drop PDFs onto each other to combine them, or move pages around between files with simple wizards. Split, merge, re-arrange pages – manipulate your PDFs using powerful features designed for the novice. If you need to add notes, stamps, or highlights to a PDF, fill out PDF forms, or digitally sign a PDF, you’ll do it without leaving the program. That’s convenience. PDF creation is just as easy. 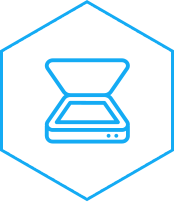 Convert any kind of file to PDF with the included PDF printer, or convert existing files to PDF alone or in bulk. Need to e-mail a sensitive document? Send it as an uneditable PDF … in a mouse click. Dillner’s FileCenter is the low-cost leader in document management! We deliver a level of features at a price the competition can't touch.